Diva 3006X is a wide width and wide calf black thigh high boot made for us curvy girls. 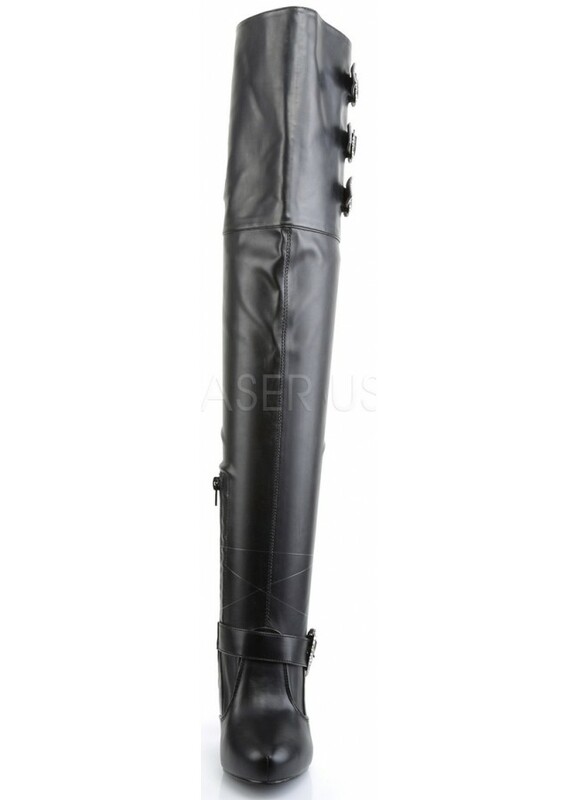 In sizes 7-13, these black thigh high boots have a wide foot and wide calf. They feature a 5 inch stiletto heel with a 1/2 inch hidden platform and partial inner side zipper. The straps at top and instead have cool octopus shaped buckles. Item Number: PL-DIVA-3006X | Approximate Size (Inches): 12.00 wide x 16.00 deep x 4.00 high | Approximate Shipping Weight: 4.00 lbs.